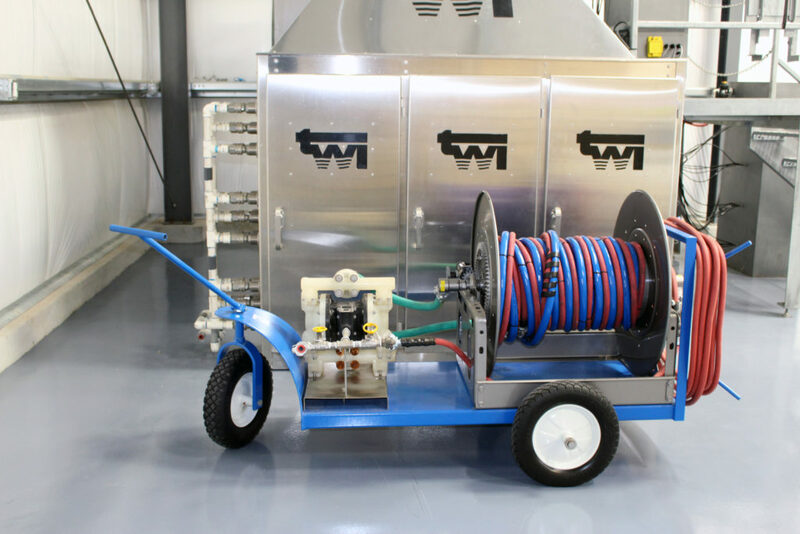 Cleaning Solution Application Equipment – The Way, Inc.
Chemical applications require specific equipment to provide effective and efficient distribution of the chemical solutions to the soil or deposit. Our Foammiser™ technology provides optimum foam quality capable of being distributed at long distances. We have been devoted to the development and worked with our vendors to continuously improve the safety and performance of the application equipment. 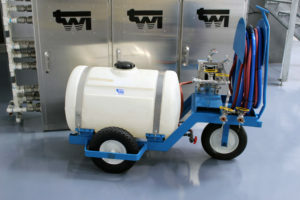 TWI understands that foam quality is paramount to successful cleaning chemical applications. The Foammiser™ produced foam will adhere to vertical surfaces, and, it will slowly dissipate, allowing for unreacted chemicals to react with the foulings. In contrast to gel systems that prevent new reactions, and liquid systems that runoff before reaction, the Foammiser™ controlled rate provides the customer optimum cleaning chemical application costs. 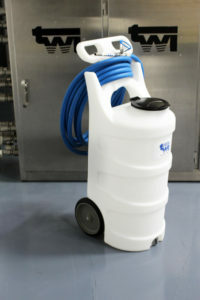 Foammisers™ are developed for many industrial uses and the unit sizes can vary from a 10 gph system to a 300 gph system. TWI has also partnered with suppliers that understand our success parameters. We have valued vendors for modular pump/tank systems, process chemical application skids, and automation equipment. We all understand that chemistry works in the lab beaker, but it takes the correct application equipment to make chemistry work in the real world.